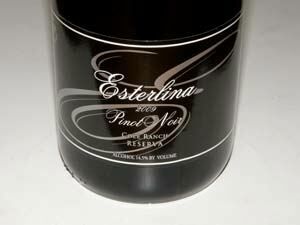 The original Esterlina estate Pinot Noir vineyard sat on a ridge commanding a sweeping view of the Anderson Valley. This property, the site of the former Pepperwood Springs Winery, was purchased by the Sterling family in 2000, and renamed Esterlina (the Spanish word for 'sterling'). Esterlina is a tight-knit family operation under the direction of father Murio and his sons. The sons' father was a cattle rancher in California's Central Valley, and their grandfather farmed vegetables in Louisiana. All three sons attended college "to get away from farming." However, when Murio retired, he started growing grapes for wineries on a property he bought in 1994 in the Alexander Valley. The family slowly diversified their vineyard holdings to include the Russian River Valley, Mendocino and Healdsburg. 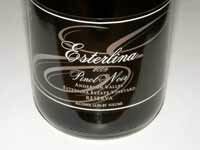 After many years of being growers and home winemakers, they started their own boutique winery, Esterlina. It is the largest African-American-owned family winery in the nation. Gradually, the four sons came back to work in the family wine business, becoming one of a small number of African-American-owned wineries in the United States. The family controls 175 acres planted to multiple grape varieties. The wines have been served at the White House on several occasions, and won many prestigious awards in wine competitions. In 2006, the Sterling bought Everett Ridge Winery in Dry Creek Valley that consists of both vineyards and a modern winemaking facility. In 2013, the Esterlina Anderson Valley property was put up for sale with the intention of moving all wine production to the Everett Ridge facility. Eric Sterling, M.D., is both a practicing emergency room physician and the winemaker and has an impressive touch with Pinot Noir. He is the only son to retain his occupation outside the family's wine business. 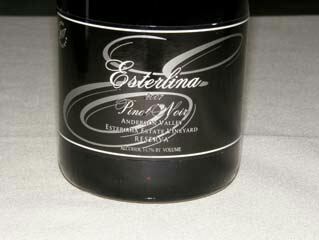 Esterlina wines are sold on the website. Besides the Anderson Valley Pinot Noirs, the Cole Ranch Riesling and Pinot Noir (from California's smallest AVA which is owned by the Sterlings are outstanding. Production in 2012 was about 12,000 cases. The Everett Ridge Winery tasting room on West Dry Creek Road in Healdsburg is open daily. In 2015-2016, the Sterlings were embroiled in a lawsuit with Bank of the West over discriminatory loans secured by high interest rates and were at risk of losing both Everett Ridge and Esterlina wineries. Eric Flanagan, owner of Flanagan Wines bought the Esterlina winery property with a $5.2 million loan that was announced in June 2016.